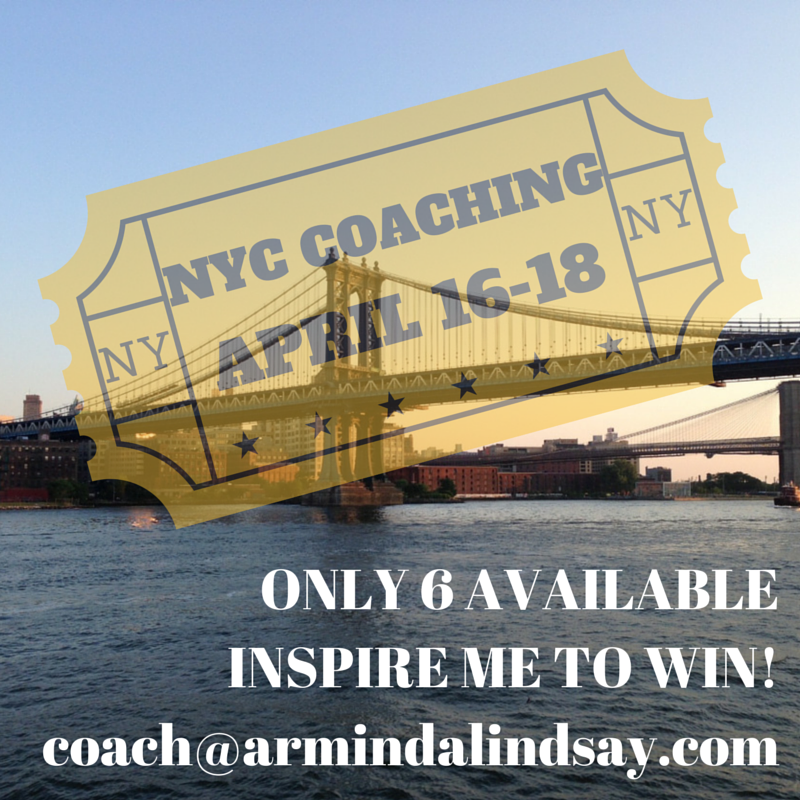 I’m heading to New York City and am offering SIX individuals a chance to meet with me one-on-one for a powerful coaching conversation! The dates I’m providing this unique opportunity are April 16, 17 & 18, 2015. Inspire me. Tell me why you want one of those coveted six spots. Email me at coach@armindalindsay.com to share your story. Please share my video with anyone you think might be an ideal candidate for that coaching conversation & let’s make some magic happen in the Big Apple.